Before we start a new dialogue for 2016, I wanted to begin by thanking you for all of your support this past year. Looking at the blog’s statistics (below) is amazing. We have fellow food allergy parents/readers in 96 different countries from all around the world! And, I love hearing from you all and listening to your different experiences and perspectives. Keep talking to me and each other. 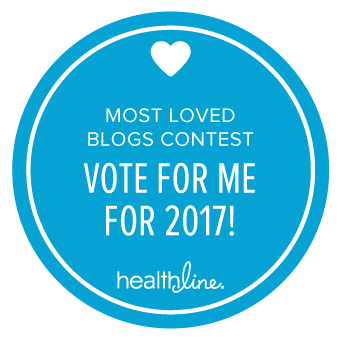 The input and support is both interesting and encouraging. Comment on a post! Send questions! Give answers! 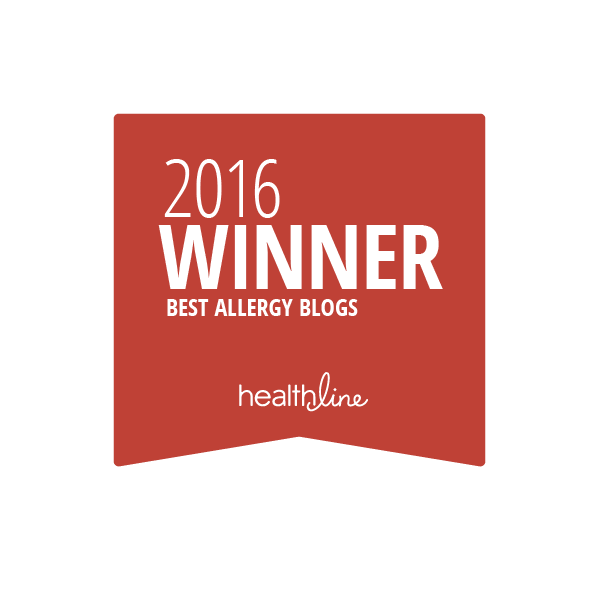 Food Allergy parents are tough cookies – there’s no doubt about that. But, we’re stronger because we’re in it together. Best wishes for a wonderful and safe new year! It’s as if Enjoy Life read my mind. 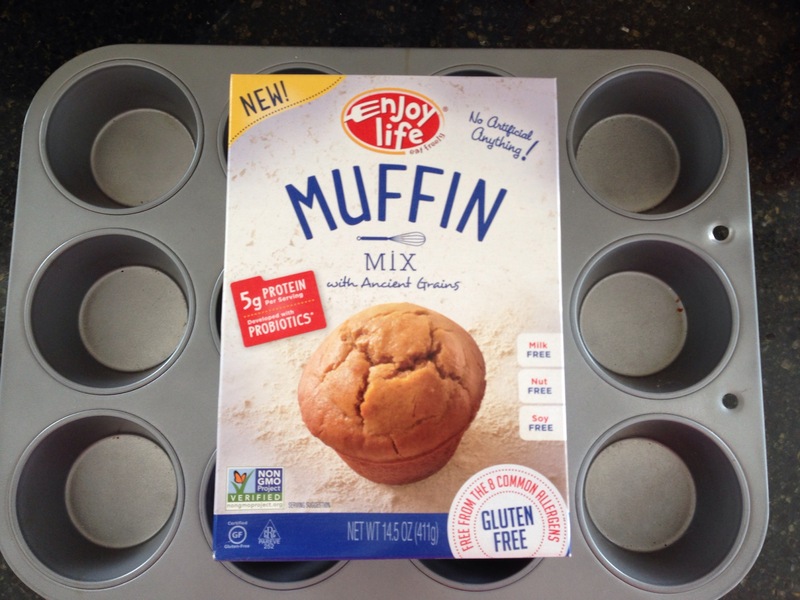 I was just toying with trying a gluten-free diet (again) for health reasons – grappling with how to begin – when Enjoy Life contacted me to try out their new product line: Pancake Mix, Pizza Dough, Muffin Mix, Brownie Mix and All-Purpose Flour Mix. What better way to start a health kick than with easy to prepare mixes! 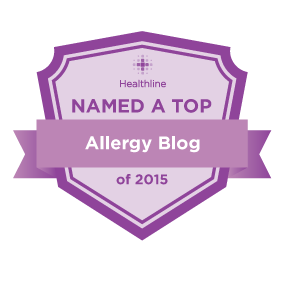 My son is allergic to peanuts, tree nuts and sesame seeds and now must avoid dairy for EoE. Enjoy Life’s new product line makes baking for our two different diets a breeze as all the mixes are not only gluten free, but dairy, nut and soy free as well. These mixes will also make getting ready for school so much easier in my house. Brownies can be sent in alongside a sandwich for a school lunch. Pancakes can be made in one batch and frozen. Pop them in the oven or microwave in the morning for a quick breakfast before your kids hit the bus. Ditto for muffins! Roll out some pizza dough, let your kids help you “decorate” the pizza and you have a safe and healthy weeknight dinner in under 20 minutes. 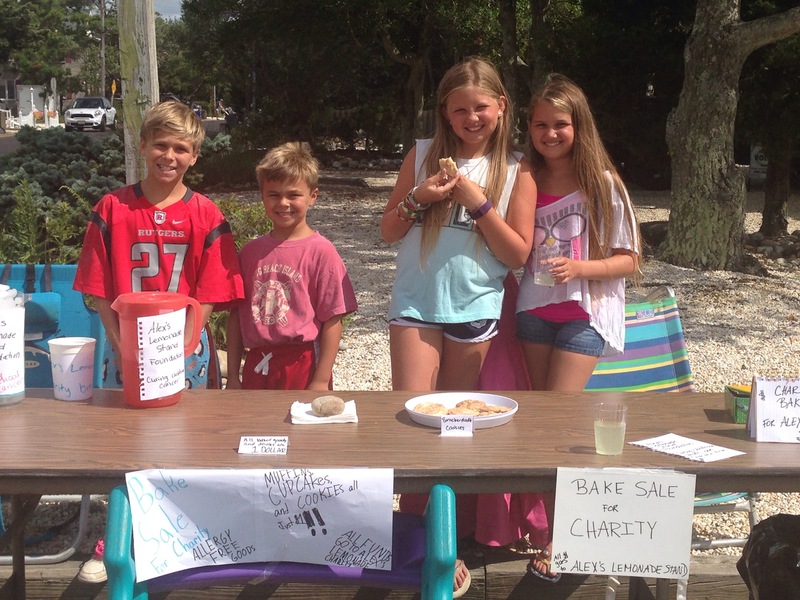 By chance, my kids and their cousins wanted to host a bake sale during their vacation together this summer. The little entrepreneurs that they are, agreed on a high traffic time and convinced me to use our new mixes. We made the Enjoy Life Brownies as well as two batches of Enjoy Life muffins: one with chocolate chips and one with blueberries and strawberries. The bake sale turned out to be a fabulous idea in several ways! Not only did we try samples, but so did half the island. 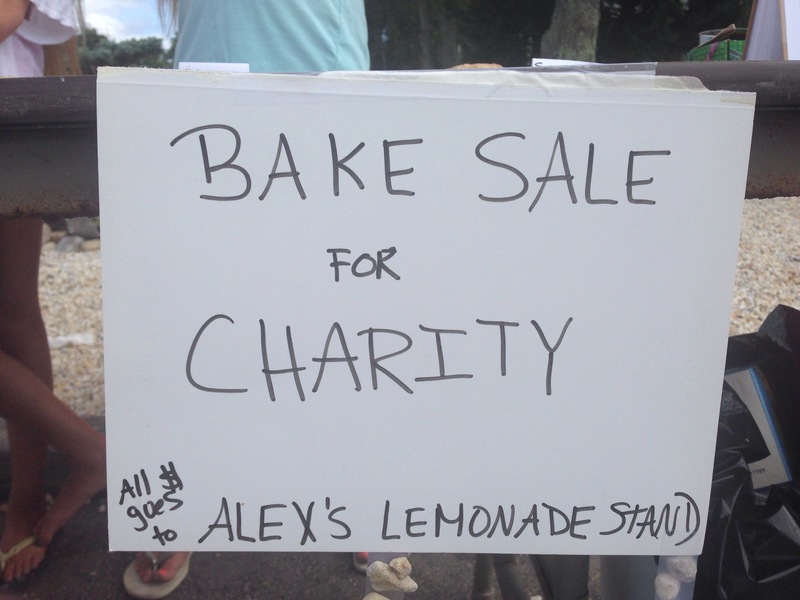 And, we got a chance to connect with families who otherwise can’t spontaneously partake in the fun of a bake sale (or a bakery for that matter). 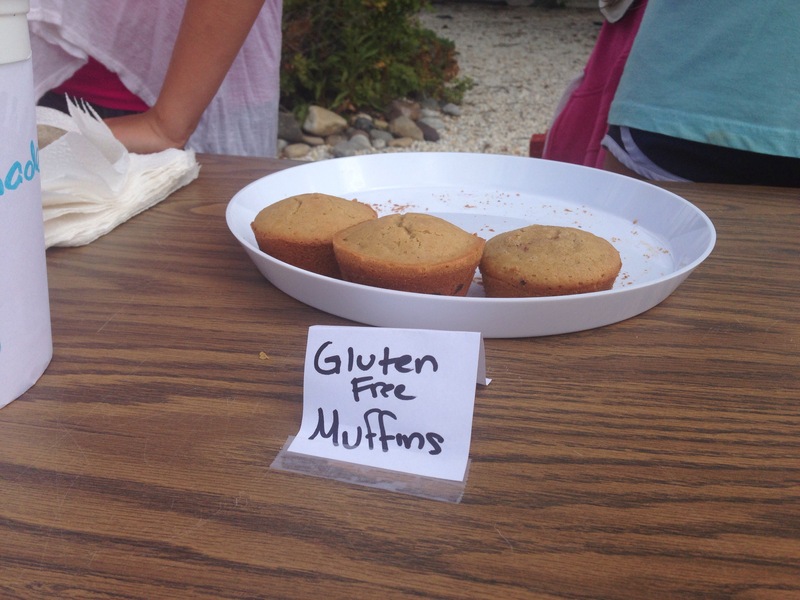 In face, we learned that four of our neighbors are gluten free! Plus, the kids decided to donate all their earnings to charity – which made for a very proud mama! The results were unanimous! Praises all around. No one could believe the brownies were GF! They didn’t taste dry or crumbly the way other GF mixes have tasted. They were moist and filled with dairy free chocolate chips. Next time I make them, I’m going to frost the top with dairy free frosting or drizzling it with dairy free caramel (yes, it’s a thing and I’ll blog about that later!). Mmmm…. The muffins went so quickly, I didn’t even have time to taste the chocolate chip one. But my neighbor did. And, she sought me out later on the beach to rave about it! She said she was craving more and asked if I could pass her the recipe. Boy, was I pleased to simply pass along Enjoy Life’s name! I DID manage to snag a slightly mangled berry muffin which was, again, moist and flavorful. All the adults involved loved that these mixes are dairy free, soy free, nut free and gluten free – making them safe for nearly everyone. Thank you to Enjoy Life for supplying us with these inclusive and delicious mixes. My husband and I noticed how proud my son was to offer food that was safe for him to others. And, even more proud when his customers beamed over how much they liked his products. 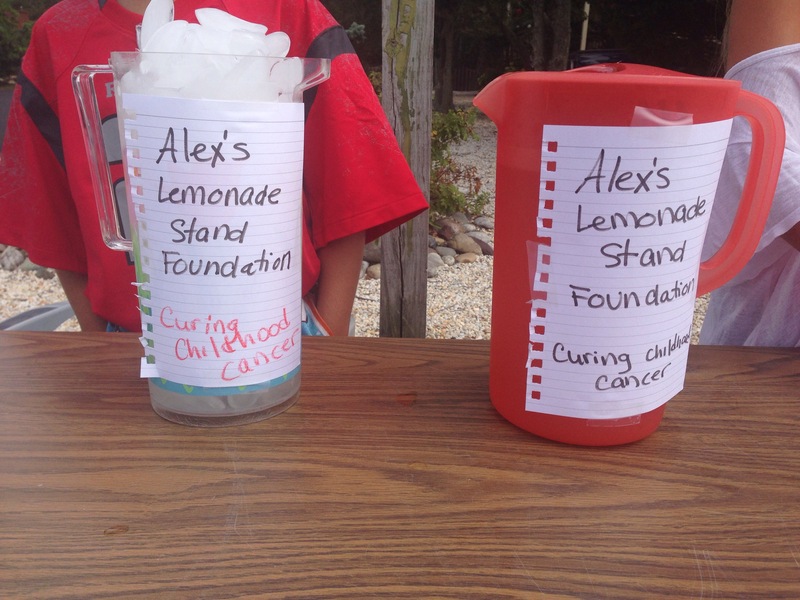 All in all, the kids donated over $100 to Alex’s Lemonade Stand. My boys are already planning their bake sale offerings for next summer – which includes both the brownies and muffins. 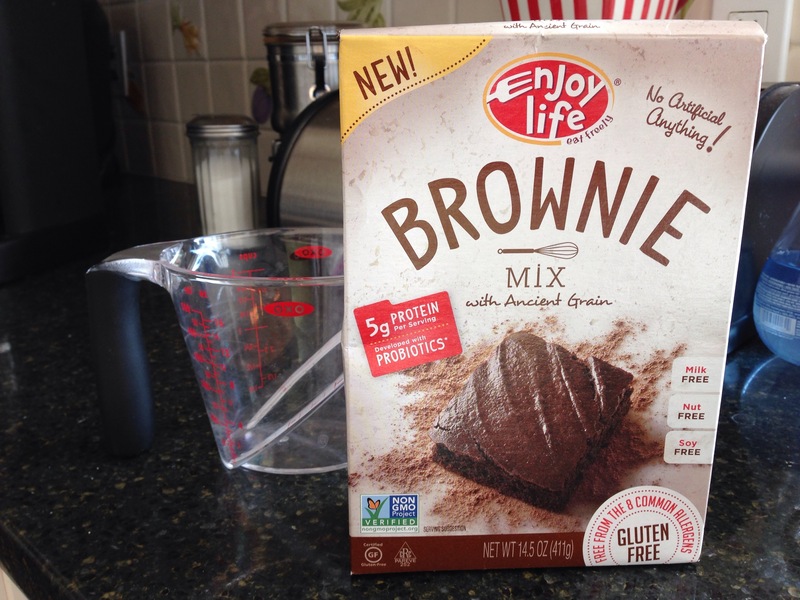 And, we’re excited to continue experimenting with Enjoy Life’s mixes throughout the fall. Have you ever read the back of a vitamin bottle? Not just the supplement facts, but the ingredient list? I was surprised to find just how many common allergens can be found in a given children’s multivitamin. You’ll probably need a magnifying glass to do it, but it may be worth your time to check. Ever since Silk Soy Milk became a cross-contaminated product (with tree nuts) – one that we could no longer purchase – my FA son has been boycotting all soy and rice milk products. My concern began to focus on calcium intake. After stocking up on calcium fortified orange juice, I turned to a multivitamin. I sat down and got comfy in the aisle of our local pharmacy and studied the Supplement Facts section of each bottle to determine which had the most calcium. I scanned the long lists of ingredients of each product I considered, made my choice, and headed home. My younger son loved them; my FA son…not so much. A few days into the vitamin regime, I randomly skimmed the back of the bottle again. I don’t know what made me do it, but I’m glad I did. Among the nine, long lines of teeny tiny printed ingredients was lactose. Milk! In a vitamin! I couldn’t believe it! He showed no symptoms, thank goodness, and I couldn’t believe I had missed it the first time. Having investigated further since this discovery, I’ve noticed that many vitamins contain common allergens. In addition to dairy, I’ve seen children’s vitamins that contain wheat, soy, dyes of all colors, corn, and strawberry. I had always heard good things about Buffalo Wild Wings, but had never had the opportunity to try it. A shame for anyone, but especially for someone married to a self-proclaimed wing conaisseur. Arriving early for a kids’ matinee, we finally found ourselves right next to a B-Dubs, as it’s more commonly known. We had time and were determined not to miss the chance to try it out. But would it be allergy-friendly?! Upon asking the hostess about food allergies, a manager was immediately called to the scene arriving with a print out of all of their menu items in an allergen list [also available at http://www.buffalowildwings.com]. 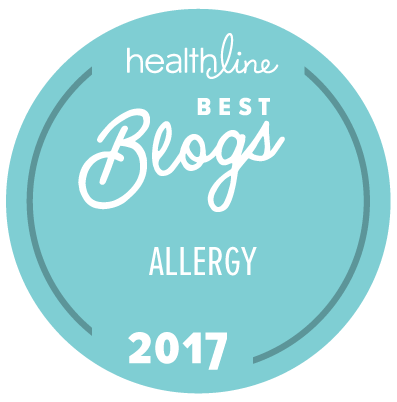 This food allergy chart shows the presence (or often absence) of Dairy, Egg, Shellfish/Fish, Corn, Wheat, Soy, Gluten, Sulfites, MSG, Peanuts, and Tree Nuts and notes were made for the presence of Sesame Seeds on their menu. 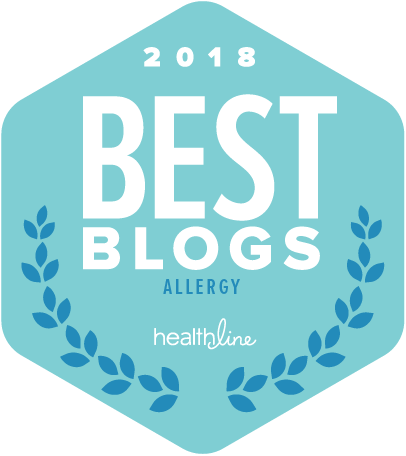 Rather than ask about the dishes that were most likely to allergy-friendly, this list surprised us with items we might not have considered. The manager continued to be very helpful while we ordered and checked in again after the food arrived. And, by the way, the wings lived up to the hype. We’ll definitely be going back. Spur of the moment, we found ourselves at Pete’s New Haven Style Pizza in Clarendon the other night. This is their latest location to open in the DC area. A place, I’ve been dying to try for years but never managed to get to. And, I’m happy to report: Pete did NOT disappoint! 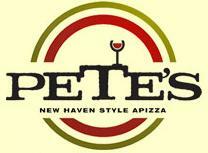 Pete’s serves a variety of pizza as well as a few delicious appetizers, salad, pasta and panini. Their pizza crust was not only safe for my dairy, egg, peanut, tree nut, sesame seed allergic son, but also delicious! They serve gluten-free pizza should you be avoiding wheat as well as soy cheese pizza should you be avoiding dairy. That’s pretty exciting if you’re dealing with multiple allergies. Refreshingly, the pizza is sold both by the slice and the pie and comes in all kinds of interesting mouth-watering varieties. Pete’s also serves desserts made in-house – including sorbet! This was HUGE news as gelato typically contains dairy and sometimes nuts. They have one scooper per flavor and I was told that if ever a scooper needs to be used for another flavor, it must first be thoroughly washed. That’s better than you get at Baskin Robbins! The atmosphere was perfect for kids and allergy-aware. I, personally, can’t wait to go back!